Landmark Home Warranty was rated as one of the top 500 fastest growing private companies in the United States in 2014, and has grown by 450% since 2012. Known for their reliable home warranties, the company proudly serves over 50,000 homeowners across the country. A regional-only company, Landmark is consistently rated as one of the top home warranty companies in all 5 states that the company services. The rare home warranty company that you can actually trust. According to Consumer Affairs, real customers rated the company a 4.5 stars out of 5. This is impeccable in an industry where pleasing every customer is hard to do. After all, most people will only leave reviews when something goes wrong unless a company goes above and beyond like Landmark does with their warranties. Note: All of the standard quotes given on the company’s page refers to a home that is less than 5,000 sqft. Homes that are larger will have different options available at a higher price. The most affordable plan, currently $325 per year in my area, but it may be different where you live. You’ll receive a lot of great coverage options under the standard tier, but not all. Just $100 more per year lands you in the premier plus offering. The “value” plan is just $50 more a year and includes vital coverage that the standard and premier plan doesn’t. 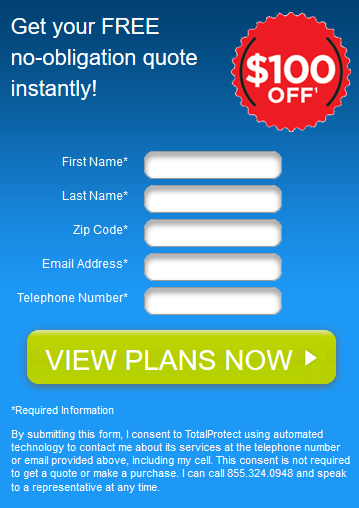 The deluxe plan is $200 more a year than the standard plan and includes all of the bells and whistles. All Plans: An unlimited amount of A/C and heating units will be covered under the plan. Premier Plus and Higher: The three higher tiers of coverage offer Freon recapture, recovery and recharge services, and will also cover electrical A/C window units. Value: Kitchen refrigerators and ice makers are added. Deluxe: Washer and Dryer sets are added as well as everything in the value tier. You’ll notice that your fridge, washer and dryer are not part of the standard or premier plus offering. Many homeowners will upgrade their coverage because of these appliances not being available at the lower tiers. Is it a worthwhile increase? Absolutely. Considering the small price increase, you’ll have coverage for fridges that can go into the thousand dollar range for high-end models, and washer and dryer sets which are also very costly. These two items aren’t essential points of coverage, so they’re not the sole reason for anyone upgrading. Premier Upgrade: A total of 38 items are added to the coverage of the standard tier. No–Fault Upgrade: In the event that there was damage caused by code violations, improper installation or mismatched systems, cover would be provided. Landmark Home Warranty offers numerous additional options that you can add to your plan. These add-ons are very specific, so they won’t apply to every home. This is why they’re added to the add-on packages. Guest House: Coverage for a guest house on the property. Premium Upgrade with Fridge: Boosts a plan to premier status and includes cover for a fridge. Remove A/C Units: Don’t have A/C units? Remove it from your package and save $35. These items can be added or removed at any time. When you have a claim to make, you can do so right on the company’s website, or by calling their service hotline. Warranties allow you to make a claim at any time as long as the claim is valid. Normal wear and tear didn’t cause the item to stop working. The owner did not maintain the item properly. The item was not installed or modified properly. Some labor and parts are not included in the coverage, and all service calls come with a $60 fee. This fee will be assessed to ensure that the company can continue offering the lowest possible coverage for their clients. The only time that a claim must wait to be made is if the home is not part of a recent real estate transaction. Homeowners that have not just purchased their homes will have to wait 30 days before making a claim. Otherwise, you’re free to make a claim immediately. Emergency service is provided, but it far more expensive than normal. The company recommends that if a service claim is not an emergency, wait to have a technician dispatched until normal operating hours. In the event that the technician needs to be dispatched in the middle of the night, you may be charged an additional service fee. Don’t worry, all additional fees are discussed with you before the technician is dispatched. When a claim is made, contractors are required to contact you within 4 business hours and within one hour if an emergency claim is made. All repairs are made by licensed professionals, and each professional undergoes a thorough screening and review process before becoming a part of the Landmark network of contractors. Landmark Home Warranty offers reputable, affordable home warranty options that are great for new homebuyers and existing homeowners. The company’s packages have several add-on options that will cover additional items, such as pool, if needed. Homeowners also have the opportunity of choosing a different coverage tier and package at any time. Claims are responded to promptly, and online claims can be submitted for your convenience. If you live in one of the five states served by Landmark, you can apply for coverage today.